When we think about our calling we often think about our vocation. We try to figure out if we are called to be a teacher or a nurse, an engineer or a construction worker. But the call on your life goes well beyond vocation. God’s call on your life is multifaceted. It includes your job, your spiritual life, and your home life. Your calling has been specifically prepared for you long before you even cared about what you wanted to be. We have been created and then recreated by God. He took a broken vessel and mended it. He took what was dead and gave it life. He took us when we were lost and gave us salvation. We are His creatures and now His beloved children. 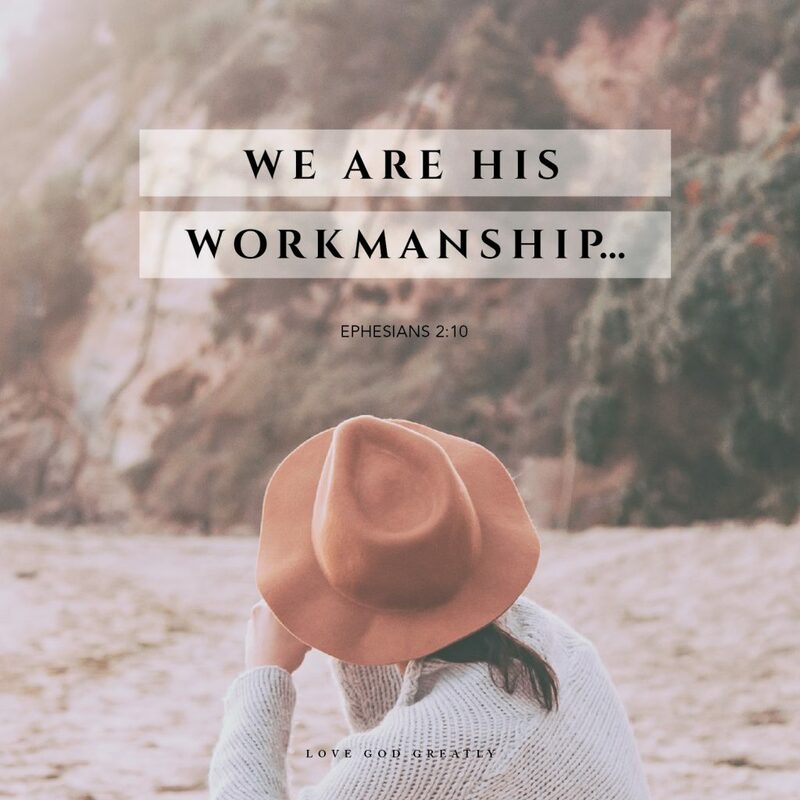 The way you became His workmanship was through the work and sacrifice of Jesus. It always comes back to Jesus, doesn’t it? He had everything and gave it away for us. We had nothing and were given everything: a new life, new heart, new future, and good works to live out for His glory. These “good works” were not thought up yesterday in some random way by God. He prepared them beforehand. Before you were held in your parent’s arms He had prepared for you good works specifically suited to your personality and temperament. Therefore, each work is important and precious. This is the hard part because, when it comes down to it, we don’t like what He calls us to do. Every day He calls us to make the most of our day, to raise our children with patience and kindness. He calls us to make dinner for our families, go grocery shopping, change a few diapers, meet with a friend, clean our home, fold some laundry, bake some cookies, and to do it all without grumbling. We are called to draw near to Him through prayer and to meet Him regularly in His Word, and to trust Him in all areas of your life. It is easy to be afraid that we are missing out. Surely there must be something bigger and better for us to do! These works, and many more like them, are good and worthy of our best effort because there were prepared for us before the foundations of the world by God Himself. He knows best and so be bold in walking in them. Learn to see their worth and find joy in what we might call mundane. Every now and then God calls us to do big things, like leave our job and go back to school or stay home with the kids. Sometimes we feel the Lord leading us to leave what we know best and move somewhere new for the purpose of ministry. When you feel God’s call to do something radical, don’t be afraid. If God has called you to it, whether big or small, He will be with you through every part, giving you everything you need to live out your calling. Whether big or small, ask God to help you see the good and worthy in all the various callings and good works He has placed in your life, and see if your joy grows. This was such a timely teaching. I have struggled a bit in the season of life that I’m currently in, being in my later 50s and still working a 60 hour week job I am unable to multitask or to do the things with the energy that I used to. That has made me feel bad I’m sad. But what I realize is that God is ultimately in control and I can rejoice in the season of life that I am in and be thankful. I can rest in the knowledge that he is taking care of me even if I don’t always feel at my best. And serving is not all way to doing something specific or planned. Serving can be kindness, helping someone in the grocery store, praying for someone. Yes yes yes!!!!!!! You always say it just the way I think it!!! !